Dr. Korber graduated in 1984 from the University of Illinois Medical School and completed her residency in Obstetrics and Gynecology at the University of Michigan and Harbor-UCLA. She is board certified and is a Fellow of the American College of Obstetrics and Gynecology. She has served on the Board of Directors for Hoag Hospital 552 Club and the Board of Directors for Greater Newport Physicians. She has been in practice in Orange County since 1988. Dr. Korber is affiliated with Hoag Hospital. 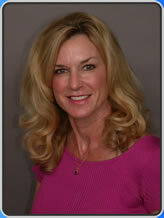 In 1995 she co-founded Newport Beach OB/GYN, one of the largest and busiest groups at Hoag. After 20 years in practice, Dr. Korber has elected to open her own private gynecology office. Her patients will benefit from easier appointment scheduling, shorter wait times, and more personalized care. She performs first pelvic exams for young women, and does annual exams as well as peri-menopause and menopause management. She does consultations for infertility, preconception, and hormone replacement therapy. © Copyright 2013 Patricia E. Korber M.D. All Rights Reserved.